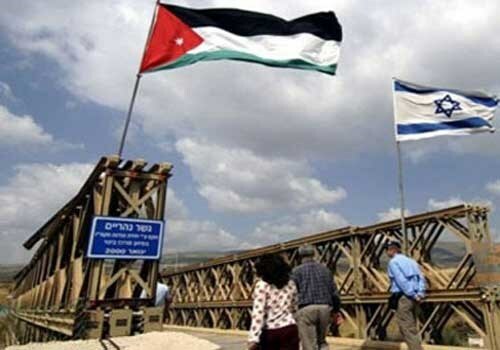 The Hebrew radio has claimed that Jordan and Israel will build a new border bridge between their territories as part of a joint industrial project they plan to establish in the Jordan Valley. 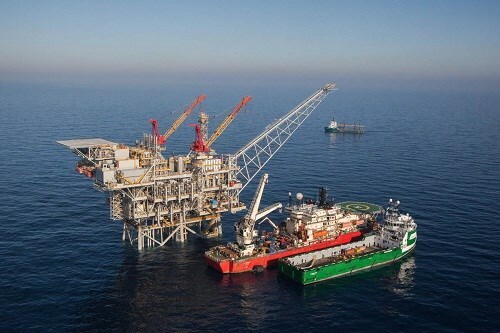 The radio report said that the Israeli ministry of regional cooperation invited tenders for the building of a bridge spanning the Jordan River as a prelude to establishing a joint industrial zone hosting Jordanian and Israeli factories. The project will be established over 950 dunums of land, mostly on the Jordanian side (more than of 700 dunums). 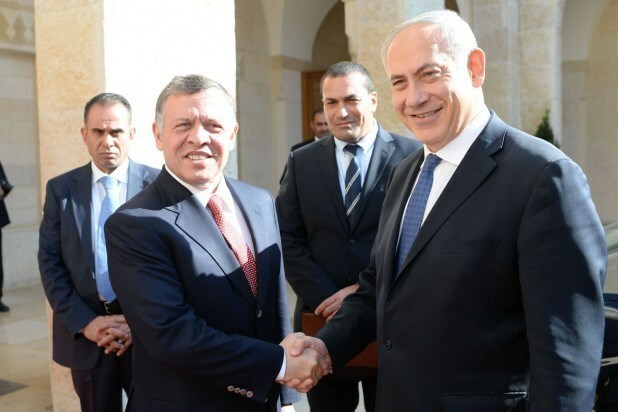 Jordanian official sources revealed that King Abdullah of Jordan refused to receive Israeli Prime Minister Benjamin Netanyahu in Amman because of the failure of the latter to abide by his pledges concerning the Aqsa Mosque. A few days ago, Hebrew sources leaked news on Netanyahu’s approval to meet Palestinian President Mahmoud Abbas in Amman in the presence of King Abdullah of Jordan and the American Secretary of State John Kerry. The sources said that King Abdullah refused to receive Netanyahu because he did not abide by his promises in the last-minute summit hosted by King Abdullah in November, 2014 and attended by Netanyahu and Kerry while boycotted by Abbas. The summit stressed on maintaining the current situation in the holy places in east Jerusalem and respecting the Jordanian role in maintaining and catering for the sacred sites in Jerusalem which has been violated by the Netanyahu government. The Jordanian government underlined that it will confront any attempt to change the current situation at the Aqsa Mosque whether by temporal or spatial division of the holy site. Palestinian Pastor lashes out at Jordanian Sheikh, calling him "coward"
Fr. 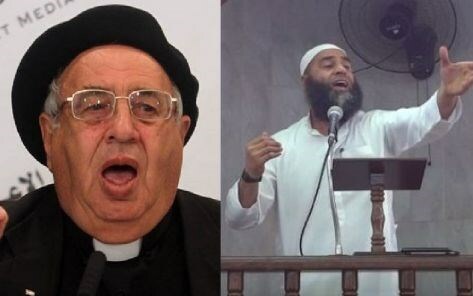 Manuel Musallam, Pastor of the only Catholic Church in Gaza, has lambasted a Jordanian Sheikh who reportedly called the stabbing of Israeli soldiers and settlers by Palestinians "a savage and barbarian act." "Your eminence, I am Palestinian and a man of religion like you; I completely reject what you said. Arabs and Muslims wouldn't have left us alone in the field of Jihad and resistance to defend Palestine, had it not been for the fact that the voices of true patriotic speakers fainted, whereas the voices of defeatist elements like you got louder and louder." In an earlier Friday sermon, a government-appointed Jordanian cleric named Umar Talha lashed out at Palestinians who stab Israeli settlers and soldiers, calling such attacks "barbarian and savage." "Your attitude is markedly incompatible with those of free men and women who took to the streets in solidarity with Palestine and Aqsa Mosque. Palestinians have been carrying out widespread protests over increasingly daring and highly provocative efforts by government-backed Messianic Jewish fanatics to gain a foothold at the Aqsa Mosque, Islam's third holiest site. As many as 36 Palestinians and 8 Israelis have been killed in two weeks of sporadic violence, also sparked off by the collapse of a peace process that would have given millions of Palestinians, languishing under a decades-old harsh occupation by Israel, a hope for freedom and independence. "We are the masters of the Arabs, desert-dwellers as well as city-dwellers alike." But it is not strange at all that cowards like you would consider the brutal occupation of Palestine by Zionist gangs and the expulsion and extirpation of its native people an expression of civility and enlightenment whereas the noble resistance to Zionist savagery and barbarianism is viewed as an expression of savagery and barbarianism." Musallam went on wondering if the Jordanian cleric thought that the tight blockade being imposed on Gaza for the ninth consecutive year, which causes indescribable suffering and agony to Gaza’s children, men and women, represented true civilization. He added, “Is the hermetic closure of al-Quds (East Jerusalem) in the face of Muslims and Christians, its annexation to Israel and obliteration of its Arab-Islamic identity an expression of civility?" Musallam's remarks were reported on Saturday, 17 October, in the Jordanian newspaper As-Sabeel. Jordan will not tolerate any attack on Al-Aqsa Mosque as it is under the kingdom’s guardianship, the Minister of Awqaf and Islamic Affairs Dr Hayel Dawood warned yesterday. Jordan’s news agency Petra said Dawood condemned the Israeli authorities’ decision to deny Muslim worshipers entry into Al-Aqsa Mosque and allowing Jewish extremists to storm it under the protection of Israeli soldiers and police which constitutes a violation of treaties between the two countries. 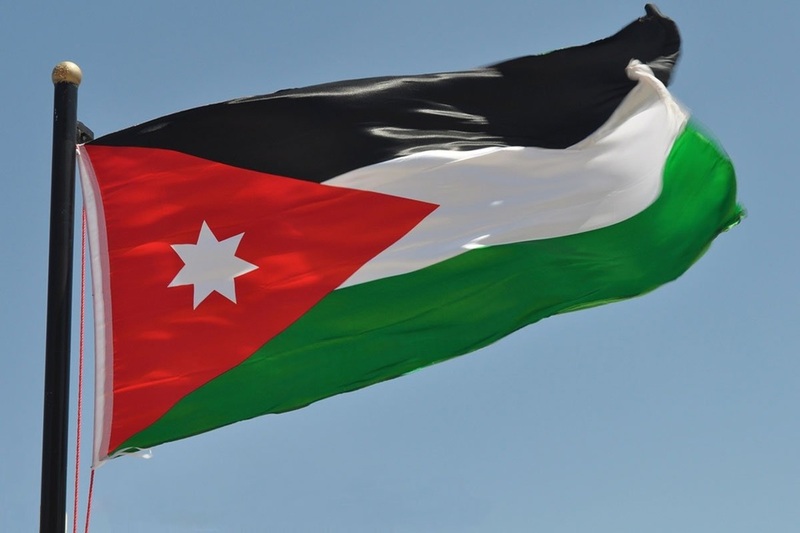 Dawood stressed Jordan's absolute rejection of these actions, warning of the Israeli attempts to change the status quo in violation of international and humanitarian laws. “The Awqaf ministry is closely following up on the situation,” Dawood said. A Jordanian court sentenced seven Jordanians and a Syrian citizen between 2-year and 15-year prison terms for planning to carry out attacks against Israeli embassy in Amman. The charges included "plotting to commit a terrorist act, and possession of weapons and explosives for use" in those acts. 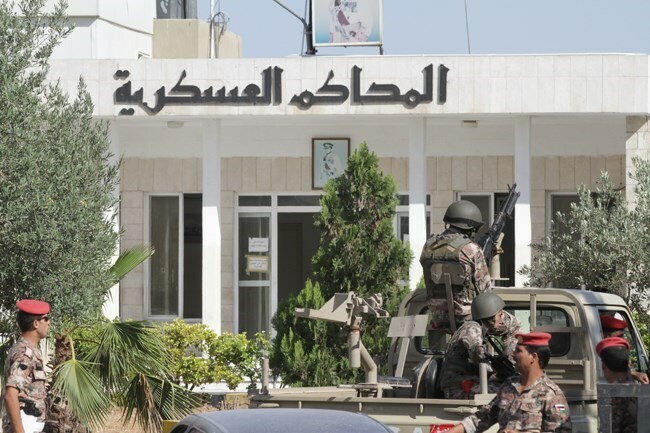 The suspects were also accused of collaborating with the Lebanese Hezbollah party in 2011 and 2012 in a bid to ship arms from Jordan to occupied Palestinian territory. The plots in question would have involved "terrorist acts" against the US service personnel at a Jordan military base in Al-Moaqar in 2006 and against the Israeli embassy in Amman in 2008, Israeli media sources said. The Jordanians were all arrested in May 2014, but no details were provided on their identities or the surrounding circumstances, while the Syrian was tried in absentia. 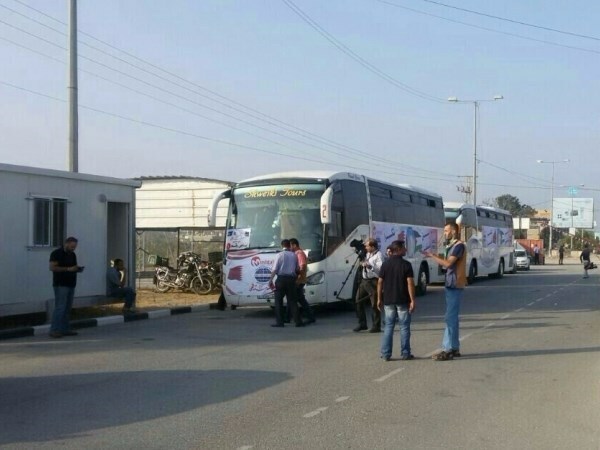 The Jordanian authorities on Tuesday prevented scores of Gazan teachers designated to work in Qatar from traveling through the Allenby (King Hussein) Bridge, which connects the West Bank with Jordan. Mazen al-Qishawi, one of the supervisor for the trip, said the teachers suffered a difficult day at the crossing and might have to return to Gaza after they were barred from entering Jordan. Qishawi told the Palestinian al-Ray news agency that he contacted the office of the Qatari embassy in Gaza and informed it about their failure to travel through the Allenby Bridge. He added that the Jordanian authorities had claimed there were no prior coordination with them regarding the travel of the teachers. About 100 Palestinian teachers were able to arrive on Tuesday evening at the Jordanian border bridge after they spent long hours at the Israeli-controlled Beit Hanoun (Erez) crossing in Gaza. Israeli border officials at the crossing had also barred many other teachers from crossing to the West Bank at the pretext of their need to complete their official papers. 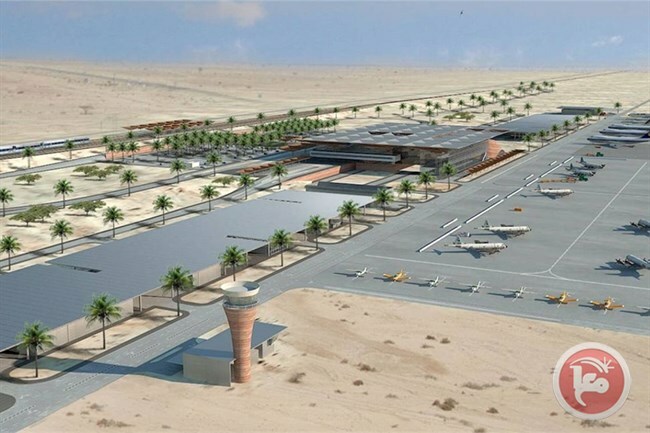 The International Civil Aviation Organization (ICAO) is investigating a complaint Jordan submitted by Jordan against Israel's construction of an airport near Aqaba, a minister said Saturday. Israel, she added, had continues to build the Timna airport despite Jordan’s vocal opposition to the project. The Jordanian minister highlighted that the country’s foreign and transport ministries would continue to address the issue through relevant international organizations. In 1994 the two countries signed a peace agreement that included several joint economic and infrastructure projects, one of which was a jointly-operated airport that never came into fruition.Potential for the joint airport fully dissipated when Israel started in 2013 to construct the Timna airport, around 20 kilometers from the Israeli resort city of Eilat, and less than 10 kilometers from Aqaba. The head of Jordan’s Civil Aviation Regulatory Commission, Mohammad Amin Al-Quran, told Israeli media at the time, “When we found out about the location of the new Israeli airport, we realized there was a problem.